Whip together the goat cheese, cream cheese, 1/4 cup whipping cream, garlic, salt, pepper, and onion powder. Whip for 2-3 minutes, or until light and fluffy. 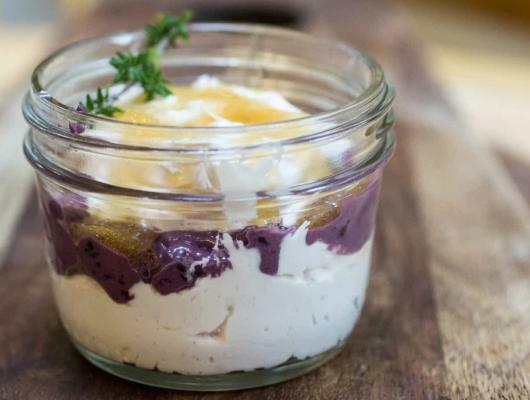 Place into two small mason jars, reserving about 1/3 of the mixture to top the dish. In a separate bowl, beat together the blueberries and heavy cream until smooth. 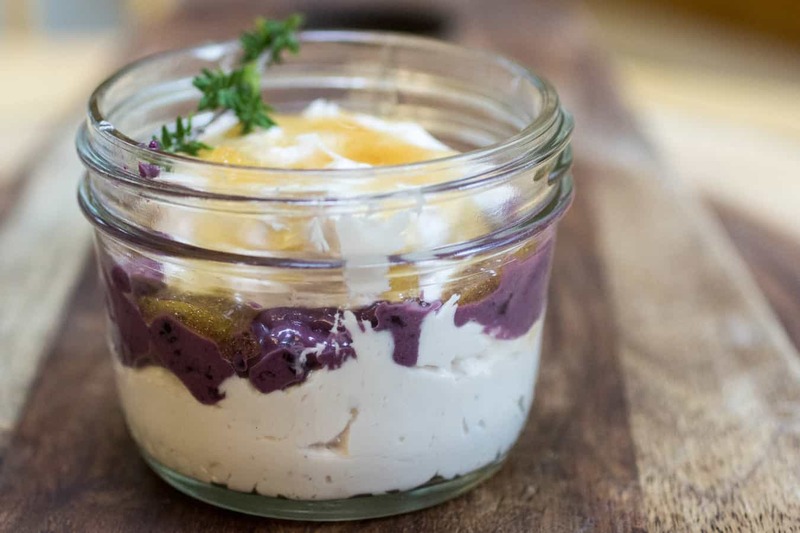 Spoon into the mason jars, and top with the remaining goat cheese. Drizzle on the honey, and serve with pita chips or toasted baguette rounds. My version is whipped together from some amazing double cream goat cheese rolled in blueberries that we picked up at Costco not too long ago.